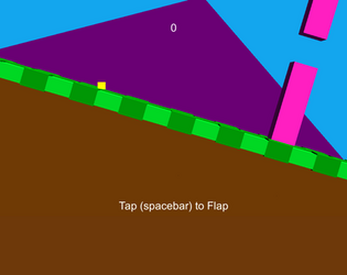 Yet another shameless Flappy Bird clone. Not trying to cash in or anything. I'm just trying to learn Unity3d. This is my One Game a Month entry for February 2014. Press the space bar to flap.